Is there anything more attractive than a magnet? Well, we can probably say not. And the same idea applies to Magnet Gaming too. It provides a selection of attractive and entertaining games for operators and players to benefit from alike. 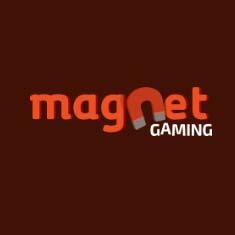 In fact, Magnet Gaming considers itself to be in the entertainment industry just as much as it is in the gambling industry. It’s a great mindset to have, especially when it comes to the creation of casino games. Furthermore, the developer claims to be re-inventing how gambling is done, merging both casual and casino gaming together as one. Naturally, the company also has an aim to grow both its own standing as well as the online gambling market on the whole. It wants to do this by offering up the best and most engaging cross-platform experiences with its games. Of course, basing itself out of Denmark means that it also holds a Danish licence to operate too. Therefore, you can guarantee that it is creating games in a legal and secure environment, whilst also having its titles tested for fairness as well. The DGA of Denmark has been around since the year of 2000, so it’s licensed by a reputable regulatory body. The sole focus of Magnet Gaming is to create intriguing Video Slot games, and this has been its target since it opened its doors in 2014. Since that time, it has brought forth a collection of highly intriguing, graphically advanced slot games to entertain the gaming community with. And even though Table games or Video Poker for example, are not a part of its catalogue, Magnet Gaming still manages to provide gamers with several great reasons for playing its games. 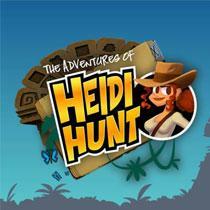 This includes appealing inbuilt features, stunning graphics and thoroughly thrilling gameplay overall. Furthermore, its game lobby is fairly full considering it only began operating four years ago. If you do see such promotions available at your selected online casino, then you’ll need to become a member of such by signing up first. One more thing to remember as well, is that these promotions also come with their own specific terms and conditions to familiarise yourself with. But, the good thing is that you can also claim these offers via a smartphone or tablet. Mobile casinos are increasing in popularity, so special offers are given to mobile players as well. Do you think of yourself as being a bit higher than other gamers? Well, if that’s so, then you could make a higher deposit at some of these platforms and receive a higher bonus as a result. 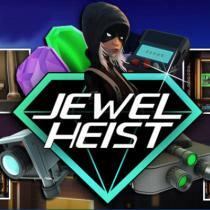 The high rollers need to make a specific amount of a deposit before being able to receive such a reward, but it can strongly boost your balance for playing with. If a company focuses solely on providing online casinos with Video Slots, then Free Spins work as a great perk to such. With these, players are able to access and spin specific slot games without utilising their own money for such. Free Spins can often make up part of their own promotion or will sometimes be given as a no deposit bonus or as part of the welcome offer for newcomers. Speaking of the welcome offer for newbies, this is something that is given once you register and make your initial deposit into your account. As long as you make a qualifying deposit, the bonus funds are given to you on top in the form of a percentage of what you deposit. This can range fairly broadly depending upon the casino that you choose to join, but it can be anywhere between 100% and 300% on average. So, even though Magnet Gaming may seem like a small company with a minimal game catalogue for the moment, it has actually developed a lot of additional features. Both operators and players are able to benefit from such. The fact that Magnet Gaming provides its own wallet integration means that money can be handled in a number of smooth ways. Player wallets are able to be set up to track player balance or to be able to forward any transaction to operator platforms. It makes for a simple and proficient operation. As far as the back office integration is concerned, this gives operators the possibility to access important usage and configuration data. This takes place through a dedicated website. Furthermore, there is the option to stream usage data into an existing platform automatically. So, operators can really benefit from this particular feature. All of the games that this developer creates are made in the HTML5 format, which makes for easy integration on any platform. However, there isn’t really any specific platform that Magnet Gaming particular powers, other than the mobile sector. Smartphones and tablet are no able to easily access games from this developer, which is again due to the use of HTML5 technology to create them in. Furthermore, the integration of the games into a mobile setting is made easier with the use of this formatting. The games are all optimised, meaning that when they appear on a mobile screen, they come with the same high-quality of a desktop version. Where Do I Play Magnet Gaming Games? Am I Able to Play Table Games from This Developer? Magnet Gaming does not provide such titles. It only creates Video Slot games for the moment. Magnet Gaming is an online software developer aiming to provide high-quality and entertaining Video Slot games.